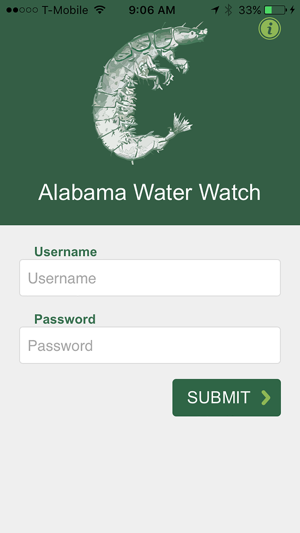 The Alabama Water Watch Mobile App is designed to make submitting monitoring data and new site information more accessible to our Volunteer Water Quality Monitors. The app allows monitors to login using their AWW login credentials provided by the AWW Program Office. 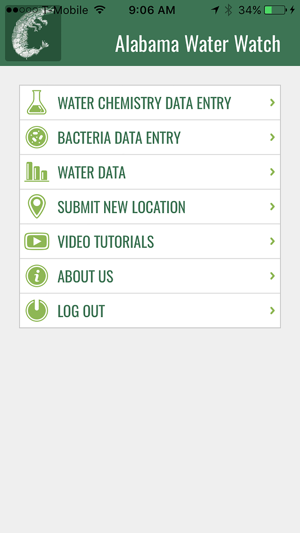 Through user forms, monitors will be able to submit water chemistry and bacteriological data to the AWW database. Users will also have access to watershed maps, monitoring site maps, and graphical water quality data. 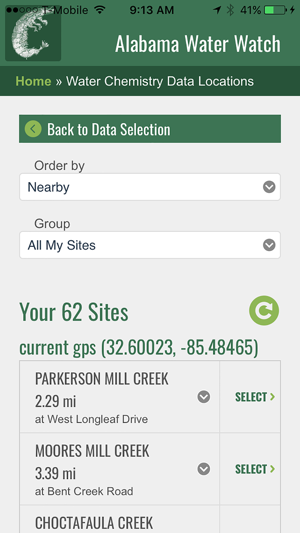 The app also employs geolocation services to allow users to automatically record the latitude and longitude of their monitoring sites.